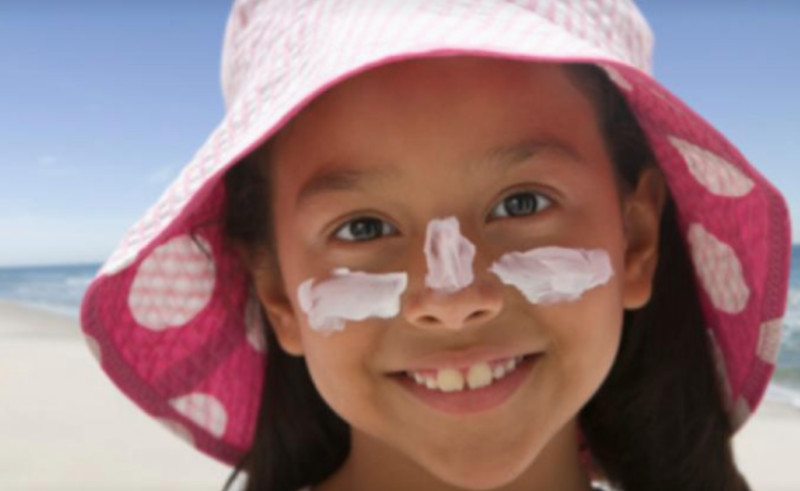 All of sunumbra®'s sunscreen products use larger particle zinc oxide (ZnO) without any nano particles and are also non-coated. 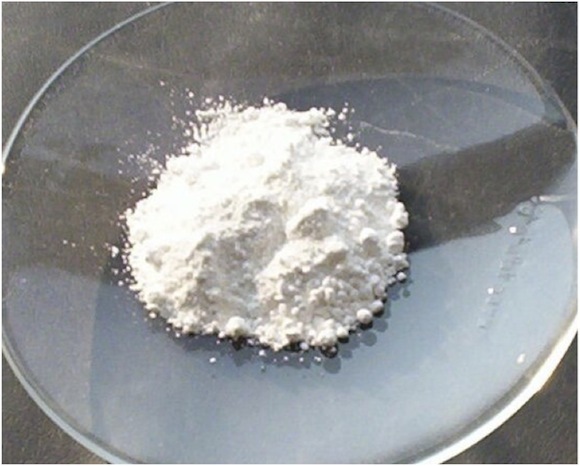 The ZnO is a pigment of micronized particle size, as opposed to nano, and is nearly transparent to visible light. This allows for almost no whitening of the skin if the sunscreens are rubbed carefully onto the skin, even when used in high concentrations. Due to a special manufacturing process, this compound is pH neutral and does not shift the pH of cosmetic preparations into the alkaline range. It protects against UVA and UVB radiation up to wavelengths of 380 nm. A natural mineral sunscreen, Zinc oxide has broad-spectrum ultraviolet (UV) attenuation properties due to its light absorbing and reflecting capabilities. ZnO is the safest & most effective single active sunscreen filter as it protects from both UVA and UVB rays and does not enter the body through the skin. It is a powdered mineral, 100% natural, that works as a sunscreen by sitting on top of the skin, reflecting and scattering the UV rays. ZnO is particularly recommended for daily care and children's products due to its healing properties. Compared to titanium dioxide, it provides additional UVA protection without the potentially harmful effects. Zinc oxide is known for its skin compatibility since it is used as a skin protectant, even for babies with nappy rash creams and such. It has anti-microbial properties and is non toxic. Also, zinc as a trace mineral in itself, helps maintain collagen and elastin fibres which provide the skin with its firmness, assisting in the prevention of sagging skin and wrinkles. In addition to this, it also links together amino acids that are needed for the formation of the vital collagen. ZnO, like many powders, can be a health risk if inhaled. This does not apply where sunumbra® products are concerned as we do not manufacture any sprays, nor provide the sunscreen in a powdered format. Research has determined that Zinc Oxide sits on the outer, dead layer of the skin, so any free radicals generated will not affect the living cells below. The rate of reactivity is considered to be too low to be of any real concern. However, we include powerful antioxidants in all of the sunumbra® products. This enables any free radicals created to be absorbed, or effectively destroyed. How does zinc oxide work as a sunscreen? ZnO occurs in nature as the mineral zincite, which is the metal zinc that has been oxidised, but it is quite rare and commercially unavailable. The ZnO we use is extracted and purified via a distillation process to a pharmaceutical grade Zinc Oxide. It is one of the active ingredients approved by organisations across the globe, including the FDA, TGA and COLIPA, for use in sunscreen manufacture. 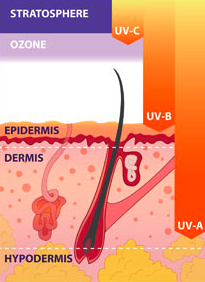 The sun protection occurs through the ZnO sunscreen particles sitting on the outermost layer of your skin, the stratum corneum or dead skin, where they reflect and scatter the ultraviolet rays, protecting the living skin layers below. Zinc Oxide is the most broad of all the sunscreen ingredients on these approved lists, as it protects you from UVA I and UVA II as well as UVB rays. Titanium Dioxide is the only other mineral based active ingredient that has been approved. It is the most opaque of the 2, also reflecting the UV rays, but is not at all as efficient with UVA spectrum protection. How is zinc oxide different from other chemicals? Effectively, like water (H2O), it has a chemical formula. The potential toxic effects of these chemical sunscreens when they enter the body through the skin, is of great concern to many people. ZnO is far more expensive to use than these chemical actives and is required in a greater percentage within the formulas. However, as the healthiest option, we believe it is by far and away the best choice available. Why did we use zinc oxide dimethicone? In the past, some of our sunscreen formulas used ZnO with a dimethicone coating. As such, we did not use dimethicone as an emollient, but rather as a hydrophobic coating of the Zinc Oxide particles. Effectively this meant that it sat on top of the skin and did not penetrate it, plus provided plenty of space for the skin to breathe. Ie. The opposite of the effect of an emollient. Visualise a whole lot of different size balls bundled up and sitting on your skin, and although all touching, there are spaces through which the skin will breathe. It did not not sit on your skin like a layer of plastic, which would be the effect of it being used as an emollient. In the overall formula, its presence was only 0.28%, which was miniscule. Also, from a bio-degradability perspective we understood it to be inert when bio-degraded. However, after the discovery of an uncoated zinc oxide product that produced delightful results with a change in our production process, we changed suppliers. After considering the many complaints received about the use of dimethicone, we discarded the dimethicone coated zinc oxide altogether.